Cute 2 bedroom cottage around the corner from Long Sands Beach ready for summer 2019 bookings now. 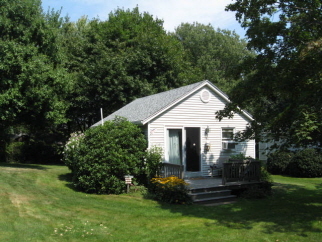 1 double bed and 2 twins sleep up to four, with a 3/4 bath, deck, bbq, picnic table and a very nice yard. Parking for 2 cars, cable tv and WIFI, no pets, and quiet, relaxing space. $1200 a week with good weeks open still.